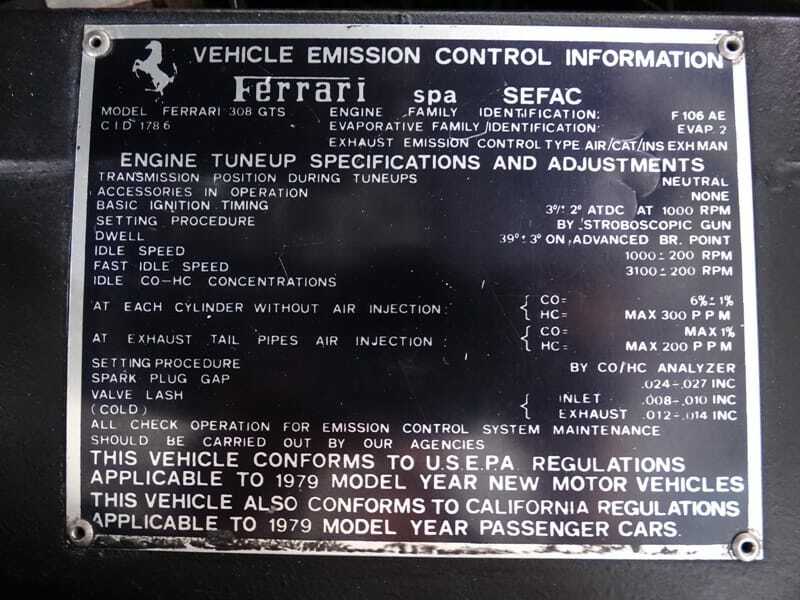 1979 FERRARI 308 GTS – Daniel Schmitt & Co.
1979 FERRARI 308 GTS: SPECTACULAR CONDITION! TRULY ONE OF THE NICEST EXAMPLES OF THIS HIGHLY SOUGHT AFTER MODEL AVAILABLE ON THE MARKET TODAY! Introduced as the replacement for the Dino 246 in 1975, the 308 has a solid place in Ferrari history. Designed by Leonardo Fioravanti, of Pininfarina, it quickly won over many enthusiasts for both its looks and performance. The 308 shared both its tube-frame platform and double-wishbone independent suspension with the Ferrari 308 GT/4. Power was derived from the 2929cc transversely mounted V8, producing more than 240 horsepower and a top speed of 156 mph. 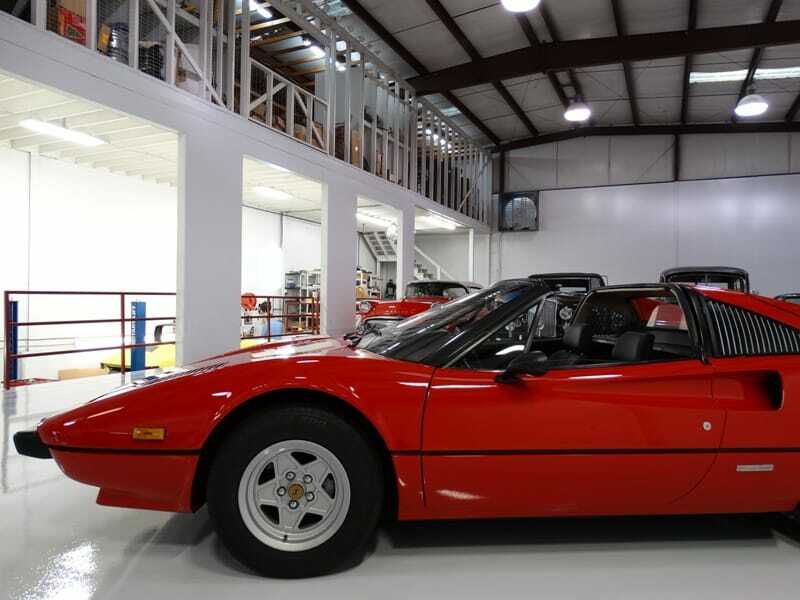 4-wheel disc brakes ensured excellent stopping power and when mated to the 5-speed manual transaxle the 308 provided a driving experience like no other. The 308 GTS entered production in 1977, and while similar to the 308 GTB, the main difference between the two was its convertible Targa top, which when easily removed provides the pleasure of open-air driving. Ferrari made sure to reinforce the chassis to account for the missing roof, leaving the handling dynamics of the GTB coupe largely intact. 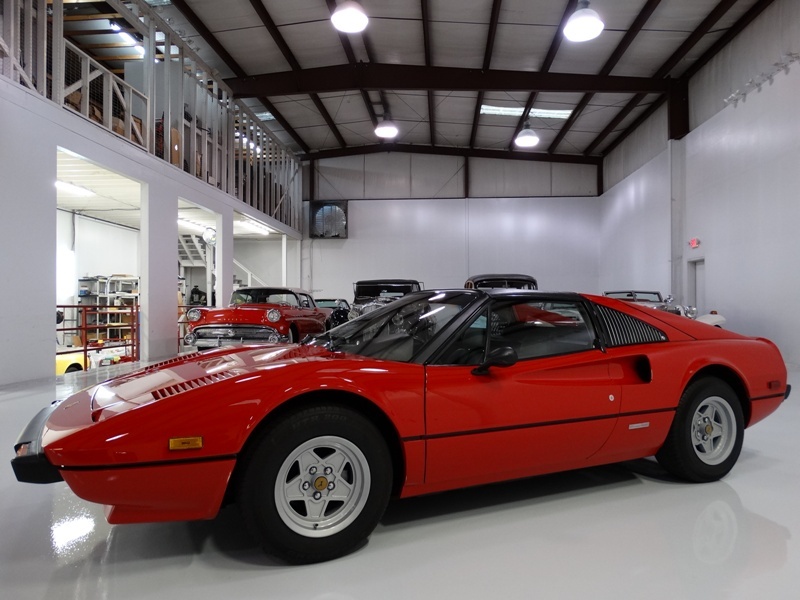 Often associated with the TV show Magnum, P.I., as the 308 GTS played a starring role in the series, capturing the hearts of many as it chased down criminals on the islands of Hawaii with actor Tom Selleck behind the wheel. Of the GTB and GTS the 308 GTS proved to be the more popular variant of the 308 model, with a total of 3,219 examples manufactured. The 308s iconic wedge shape was staple of the time and is one of the most recognized today as it was on TV screens in the 1980’s, ensuring the 308 GTS collectability and desirability for years to come. The example featured here is finished in classic Rosso Corsa Red with an impeccably kept black leather interior. This magnificent motorcar has been beautifully maintained and it spent most of its life in Southern California. 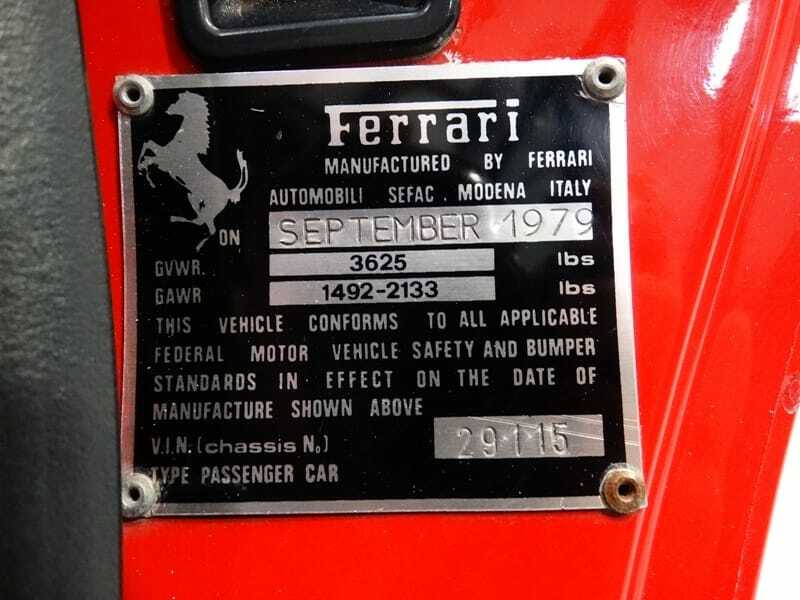 Accompanying this investment-grade 308 is its owner’s manual, service records, jack and more. 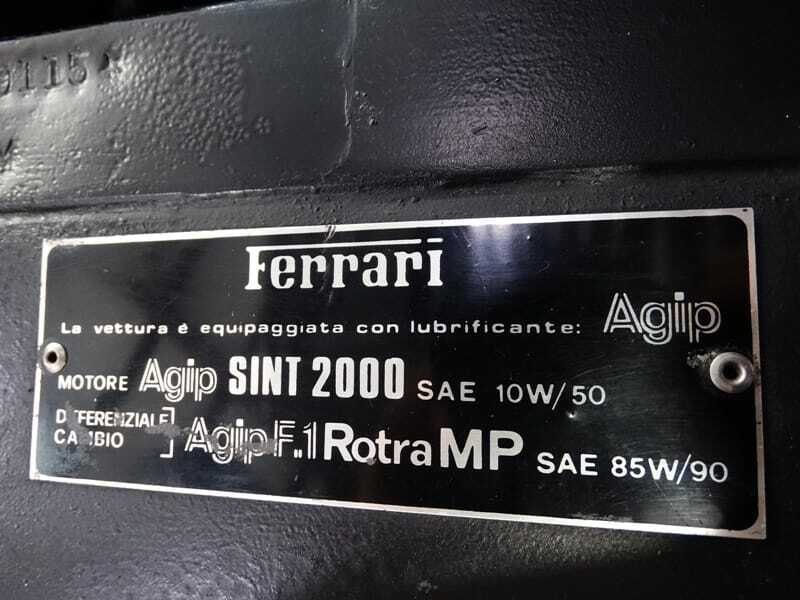 This is an example of the last of the great 308s that had Weber carburetors and it was built at a time when Enzo Ferrari was still alive and in charge. I personally believe the investment potential of this great classic will grow beyond your imagination. We are proud to offer this vehicle to the most particular collector, investor or enthusiast who appreciates low mileage and superior condition. Classic cars have proven to be among the most resilient and rewarding investments in recent years with the Historic Automobile Group Index (HAGI) jumping 39% in 2013, 16% in 2014 and 17% in 2015 while posting gains of 467% over the last 10 years. Ready to make an investment you can actually enjoy? Please contact one of our expert sales consultants for more information. They will be happy to give you a complete walk-around, supply you with a more detailed description and answer any questions that you may have. Bid with confidence; this is one truly incredible GTS.